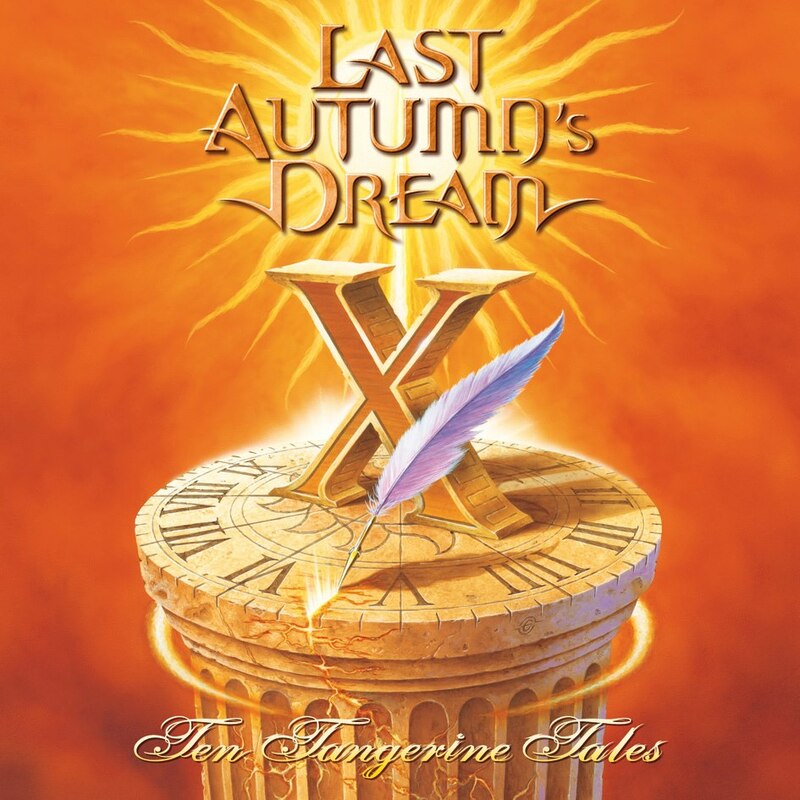 Rock & Metal 4 You: CD-Review: Last Autumn's Dream - "Ten Tangerine Tales"
CD-Review: Last Autumn's Dream - "Ten Tangerine Tales"
Here we go again ... the interest in this Scandi Melodic Rock/AOR band seems to be very big. My post about their new album ist the most popular post for weeks now. I never thought that. So here is the review you've all been waiting for! These four guys are real workaholics ... I mean we get EVERY year a new record and it's always quality music. How can that be? 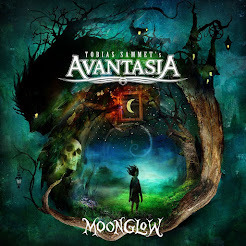 I don't understand that, but for sure it's really good for all the fans of this band and quality melodic rock/AOR. Nevertheless I think Last Autumn's Dream are one of the most underrated Scandi rock bands. They should be much bigger after releasing nine albums. "Ten Tangerine Tales" is their tenth piece of work. On each album you've always found a bunch of hits, but also some fillers. That hasn't changed so far. LAD deliver an album with 10 songs and a really stupid intro ... you can't call that "intro". How useful are these twenty seconds? What are they going to tell us? It's only a very short guitar part without any meaning. But when the album kicks off with the first real song ("Pickin' Up The Pieces") you can no longer escape from the magic and the sugary melodies of LAD. "For You" and "The Man I Used To Be" continue the path of pure ear candy. Beautiful keys, amazing harmonies, stunning vocals, great guitar work ... here you find everything what you love about melodic rock music. And yes I say melodic rock - don't expect some hard rockin' stuff here. It's the softer kind of rock music. If you want Last Autumn's Dream in a harder version then have a look at Lover Under Cover (a side project of singer Mikael Erlandsson). But back to "Ten Tangerine Tales": What shouldn't be missed on a real AOR album? Yes, the ballads. "When I Found You" is way to slushy to my ears but "My Final Love Song" compensate this. This is a real gem. I spoke about some fillers. Yes you can find them here: songs like "Lie To My Heart", "It's Magic" or "I Will See You Thru" are a bit too compliant and arbitrarily. However this doesn't bother too much. What LAD has always been highlighted from the flood of Scandi rock bands are two things: the unique voice of Mikael Erlandsson and the very melodic guitar play of Andy Malecek. These two guys complement to each other very well and this is the reason why even an more average song is worth listening to. Last Autumn's Dream created their own sound - you hear this in every note. The Japanease version comes along with a bonus track, which is fun to listen to but it doesn't fit to the rest of the songs. It's a cover version from "Rebel Rouser" (The Sweet). Speaking about the production I have to say it's good but compared to a clear production like the last H.e.a.t. record they need to work harder on their sound. So under the bottom line everthing stays the same. Again we get catchy melodic rock with beautiful melodies, remarkable vocals, amazing guitar parts ... and some little fillers. LAD proved once again that the quality doesn't suffer under the annual releases. Well done guys! See you again in January 2014! CD-Review: Crashdiet - "The Savage Playground"
BON JOVI - tracklist of "What About Now"! CD-Review: Shylock - "Walking Tall"
STRYPER sign to Frontiers Records! VEGA - 2nd album release in March 2013! SECRET SPHERE with new music video to "Lie To Me"